Meyers Ford B. Gatherings of an infovore. Sci Ed 2019;42:33-36. As the changes in access to information have increased so too has the attention to those who are the purveyors of that information … with a significant focus on publishers. In this Gatherings column, I’ve collected some reports by the world’s news organizations regarding what is happening in our industry. 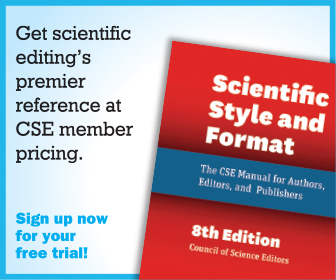 Given the interest of the CSE membership and readers of Science Editor, most entries depict coverage of STEAM (Science, Technology, Engineering, Arts, and Mathematics) as well as STM and scholarly publications. As data becomes a larger component of both authors’ and researchers’ expectations, how research data factors into maintaining high-quality publishing likewise becomes a larger challenge. An example is this Science Business article posted February 7, 2019. An article in the February 7, 2019 issue of Bitcoin Exchange Guide demonstrates how technology from other industries are beginning to influence the dissemination of scientific information. As the impact of political decisions increases in so many areas the Negotiation Journal has devoted a special issue to this very current topic. Not all publishing news centers around journals, this article posted February 6, 2019 by a European telegraph agency, Belarus News, highlights the importance of book publishing to Belarusians. Another positive story concerning books and copyright was published in the Washington Post on February 6, 2019. 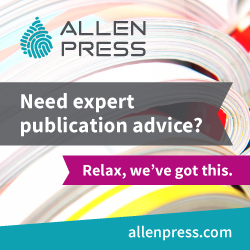 As you well know, not all the press coverage about publishing is positive. Take for example, these articles in two UK publications The Mail & Guardian and The Economist from late 2018. Here’s a recent example (February 2019) from The Guardian in the UK (original study published in BMJ Open) describing a disturbing situation regarding medical journals. Another area that has received significant news coverage over the years is that of plagiarism. For a few decades, high-profile personalities, politicians, and government officials worldwide have been charged with plagiarism (often resulting in their resignations). These have been followed by researchers and scholars seeking out plagiarism among their own. An example is this interesting article posted on one of the Discover blogs. It is followed by an article in The New Indian Express (New Delhi) reporting on researchers and plagiarism. Over 7000 researchers from India, Republic of Korea, Japan, China, and Brazil were interviewed for a survey conducted by Editage, a global scholarly communications firm. Which is the better option when it comes to running academic journals—the professional editor or the academic one? Rachael Pells analyses the pros and cons of each. 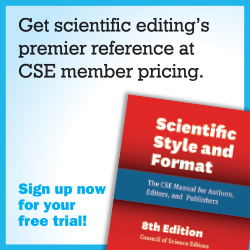 Are academic or professional editors the best for journals? If we really want transdisciplinary research, we must ditch the ordered listing of authors that stalls collaborative science, says Gretchen L. Kiser. Delving even deeper into journal publishing operations there has been considerable coverage about the process of peer review. One such example comes from the Times Higher Education. Peer review is lauded in principle as the guarantor of quality in academic publishing and grant distribution. But its practice is often loathed by those on the receiving end. Here, seven academics offer their tips on good refereeing, and reflect on how it may change in the years to come. The European Plan S (requiring funders to mandate researchers publish solely in fully Open Access journals) has received increasing news coverage since its unveiling in the Fall of 2018. Eleven research funders in Europe announce ‘Plan S’ to make all scientific works free to read as soon as they are published. Open-access agreement’s founder says enthusiastic response has already increased ambition. The Wellcome Trust has also announced how it will implement the plan, which could provide a blueprint for others. Finally, in addition to Plan S, we are seeing publishers strike some interesting agreements with libraries, universities, and even countries! Or not, as the last article published on February 5, 2019 in Nature reports. Despite some difficult negotiations, academic institutions in the Netherlands have been securing subscriptions that combine publishing and reading into one fee.